Producer/singer/songwriter ASKYA blends Folk x Electronic with airy vocals meeting electronic textures. ASKYA locked himself away the past year to write and teach himself production, whether in a Swiss mountain cabin or Australian beach shack. Moving between Zurich, Switzerland and the surf town of Margaret River in Western Australia, ASKYA writes songs with a sense of vulnerability that reflect experiences far beyond his years. His first two singles garnered immediate traction, being placed in multiple top-tier Spotify playlists worldwide. ASKYA now has a fresh perspective and is an emerging artist to watch. 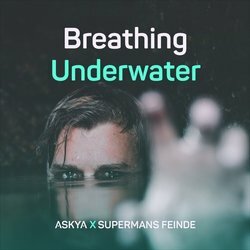 I wrote and produced Breathing Underwater with a friend in Germany. It was about a friend of ours' relationship with someone.